Marc Andreesen has been annoyed for the last time by people like Steve Ballmer comparing Social Networks like Facebook (or Andreesen’s Ning) to Geocities. His diatribe lays down a great blow-by-blow feature comparison on why Social Networks are not Geocities. 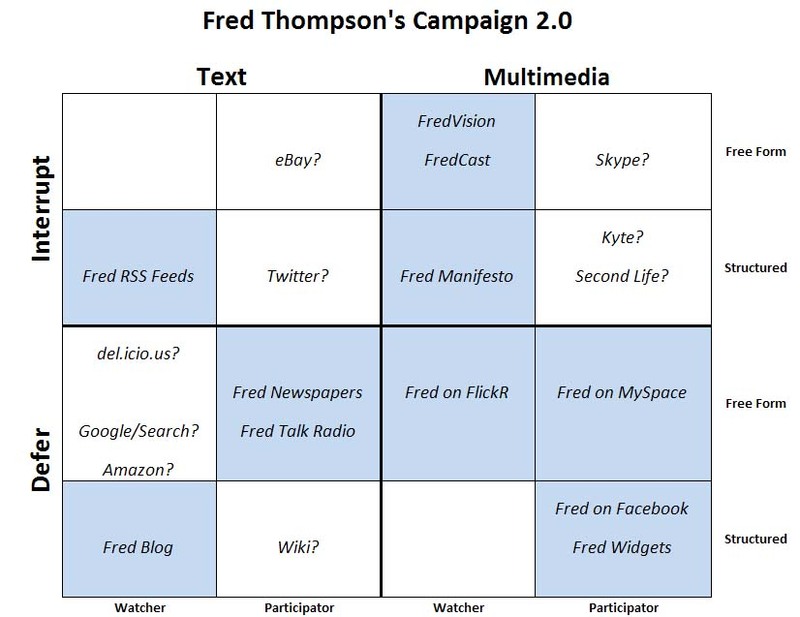 These are important distinctions to make, because they go to the heart of the difference between Web 1.0 and Web 2.0. What do I mean? It’s a little bit tempting to regard Social Networks as being just what Geocities was: a really easy way for people to create a personalized web page for themselves. Don’t go there, that’s a trap! I know many seasoned Social Network users that do think of it that way, but it belies the important difference. 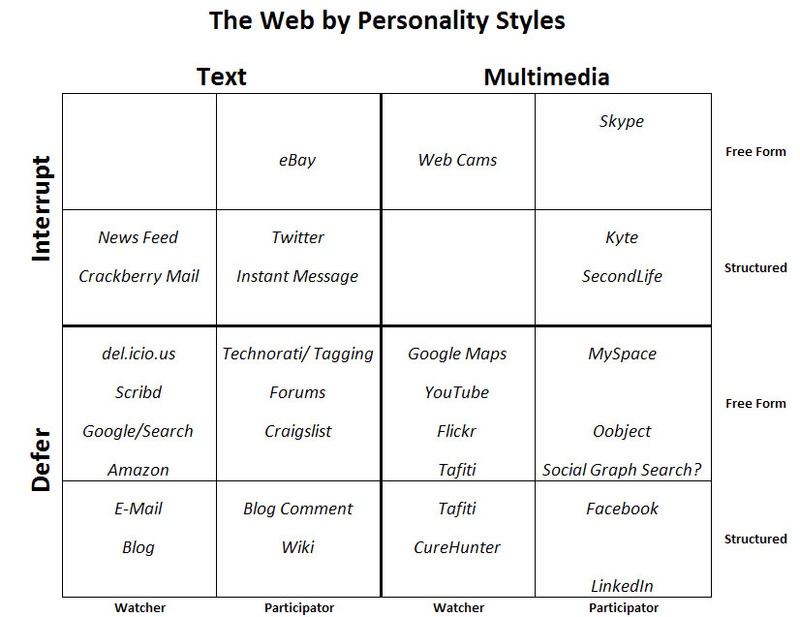 Creating a personalized web page is so Web 1.0. It’s shouting your persona and message without providing any means for anyone to respond. Yeah sure you could stick your email address up there, and it is a form of response, but that’s not what we’re talking about here! A full level two Internet platform so others can add new stuff to Facebook. Can you see the difference all of those things make? I see two big additions to the personal web page idea. First, we have the ability to create relationships with others on the network and have the system remember those relationships over time and use them to good effect. That’s not like sending someone a link to your Geocities page! It creates real affinity between these groups of people and keeps them bouncing off one another. Second, we have a whole raft of things to do! They are social things to do. They are live and changing. They reach out to others and create actions at a distance on other pages. We can push back and interact with them. Wow! This is a lot more engaging than just staring at someone’s vanity web page (although I am quite proud of mine, BTW!). And, all of this is packaged in a way that mere mortals can participate fully. Geocities was a cave you could paint petroglyphs on the walls of. Facebook is a modern home. You can go buy furniture for and decorate. It has electricity, running water, and indoor plumbing. There are TV’s, radios, and telephones inside. Friends come to visit. Ning, BTW, fits this model too. Ning is where you can create your own personalized specialized version of Facebook. It may not be your main home, but it can be your vacation home in the mountains. It can be the hotel you stay in when you go visit a certain place (a group of people with like interests, say, like a conference). Or like a clubhouse where you and your buds like to hang out some of the time. I have little to add here other than to say that Joe Cooper has a great essay on how you go about making a business that makes money out of what looks at first glance like free software. It’s worth a read if you’ve ever been curious about the business of open source. His comments about hosted open source, which is a lot like combined SaaS and Open Source, are particularly useful. This is part 2 of my interview with Xactly CEO Chris Cabrera who tells us what it takes to start a new SaaS company and why you’d even want to try. If you missed Part 1, be sure to go back and check it out!As always in these interviews, my remarks are parenthetical, any good ideas are those of Chris Cabrera, and any foolishness is my responsibility alone. Chris: Force is great, especially for an up and coming company that wants to build a SaaS offering that ties into SFDC. For us, we were early adopters of the App Exchange. We’ve created deep integration and mashups using Apex. We absolutely will stay with the Force to broaden and deepen our relationship. They’re a customer of ours so we learn a lot from working with their sales force. Having said that, only about half our customers are Salesforce customers. We won’t rewrite our product in Force as that wouldn’t make sense. Chris: As you pointed out in your blog, I think its great for one of the biggest software companies pointing out that SaaS is for real. It remains to be seen if they can sell it without having a problem serving both masters. It’s very difficult. If they succeed with both, they’ll be the first I know of. What are your thoughts on partnering in the SaaS world, especially for startups? Chris: One of the most powerful things about the SaaS world is the ecosystem. With mashups and internet technologies, the ultimate customers can buy from multiple vendors and have it appear as one to their end users. With our product, salespeople see their commissions right alongside salesforce. Partner with companies whose offerings are complementary. We’ve done that with Salesforce, RightNow, Concur, SuccessFactors, BigMachines. It’s critically important not to do it all yourself. What advice would you have for VARS and Sis? How can SaaS ISV’s help their partners best? Chris: We partner with Astadia, BlueWolf, Iconixx, and CompTech. These VARs have implemented 4,000 salesforce installs. They’re looking for how to go back to their customers and get more value for them from SaaS. What better way than to bring another solution? Our strategy around VARs and SIs is to look for firms in adjacent solutions. We then do mutual referrals and they do the implementation services on deals they bring us. Our average implementation is 6-7 weeks. These VARs/SIs have built their companies on making money on that size implementation. It’s challenging for big SI’s like Accenture at the moment because their model needs a much bigger engagement to get excited. BlueWolf and Astadia work with a select few—sole selected Xactly. Complementary verticals. They’re not playing the agnostic game. They picked the tool they liked. Partners are not agnostic to one another. That’s what makes it really work. The vendor can afford to invest in a partner that’s committed. Xactly has grown extremely quickly. What’s your formula for success? Chris: It’s true, we’ve grown so quickly. We’ve tracked every deal and our average sales cycle is 92 days. Because we’re selling a lower ticket item, it is almost risk free. The ability to get the customer to agree can happen so much faster. There isn’t a big hardware investment. There’s no 9-12 month install. They aren’t stuck on the dessert island of an old version. The old Enterprise fears are gone. Customers realize we have to earn their trust every month, so it’s easier. How do you get customers to trust a relatively new and small company with their data and critical business process? What do they do if you don’t make it? Chris: Great question. There’s a lot of moving parts to the answer. First, when customers look at where their data is today, it’s often on the laptop of one or two people. It’s hardly secure. In most cases they agree that in our carrier grade facility its more secure. Second, companies look to compliance with standards like SAS-70 type 1 and 2. We have all kinds of redundancy and backup, offsite replicated storage, and a lot the customers aren’t doing themselves. SafeHarbor is another standard that makes the difference. Most customers can’t afford to do all of that on-premise, but we leverage economies of scale across our installed base because of our multitenant architecture. When they see we have a better solution than they could afford to build, that ends the conversation. The likelihood we disappear is low given our financial backing. But, we do have arrangements through escrow where customers can get their data and the code. In our next installment we’ll be talking with Chris about Sales and Marketing for SaaS companies, as well as seeing some interesting perspectives on SaaS Technology and Infrastructure. Be sure to subscribe to the blog so you won’t miss the next installment. Just click here to subscribe with your favorite reader. You can also get the blog via email by clicking here.